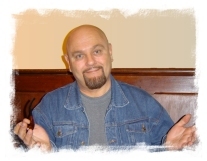 Robert Bruce is an internationally respected mystic author and speaker from the land down under (Australia). Robert has spent his life actively exploring metaphysical, paranormal and spiritual phenomena, making some groundbreaking discoveries. * Robert is the author of the best-selling books: Astral Dynamics, Practical Psychic Self-Defense, Energy Work, and coauthor of the Mastering Astral Projection workbook and audio series, with Brian Mercer. A true spiritual pioneer of our times, the depth and scope of Robert's experience is quite remarkable. Robert's firsthand experience with the greater reality brings profound understanding to spiritual and paranormal areas. His lifetime spent exploring this field brings great depth to his books, tutorials and seminars. Robert strives to give people the tools they need to evolve as spiritual beings. His workshops are dynamics and inspirational. Robert is a man who lives in the greater reality and invites others to join him. Born in the year of the Sheep under the star sign of Cancer, Robert currently resides in The Land Down Under, Sunny Australia.